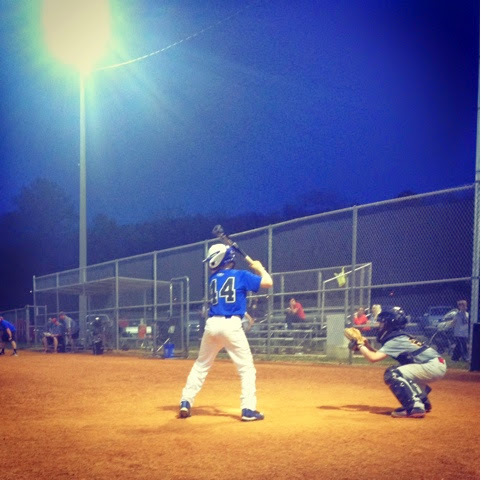 Jackson's baseball team has started playing some league games on Wednesday night... Love watching him play ball! 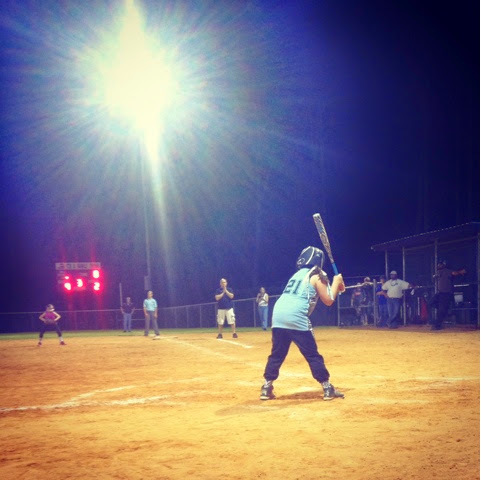 Thursday, April 3rd: Ball Game # 3 for the week!!!! 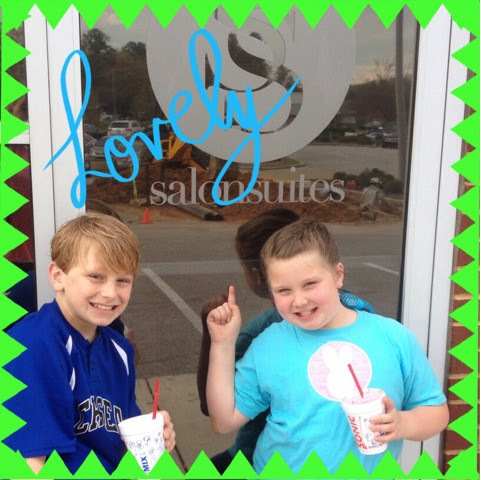 As much as I love watching my babies play ball having three late games tue, wed, and thur night this week made for one tired mama and her babies!!! 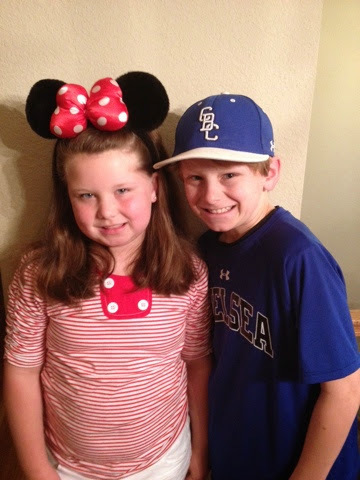 Friday, April 4th: Hat Day Friday!!! Happy Hat and Popcorn Day!! Jackson and Daddy were playing baseball in Auburn! I wished I could clone myself and be two places at once! 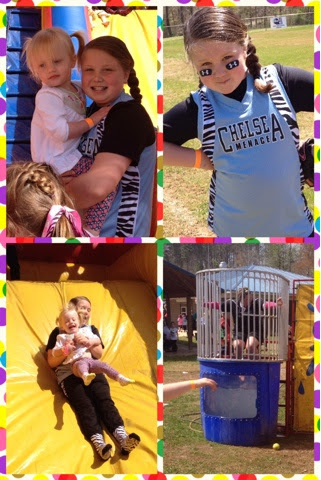 However, Brylee and I enjoyed our girls day watching her play softball and having fun at the softball Jamboree Day full of fun, bouncy houses, face painting, hair painting, dunking booth and so much fun! Brylee loves her some Taylor Bailey... She is her human baby doll! They love each other to pieces!!! Brooke loves her built in babysitter too!!! Sunday April 6th: Ice Skating Fun!!! 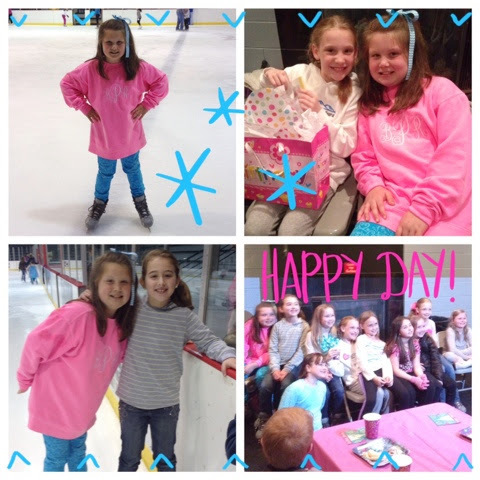 Today Brylee's friend Avery had her birthday party at the ice skating rink... Frozen style!!!! Happy Birthday A!!! Brylee and her friends had fun ice skating!!! The weather was pretty stormy Sunday night and Monday morning! 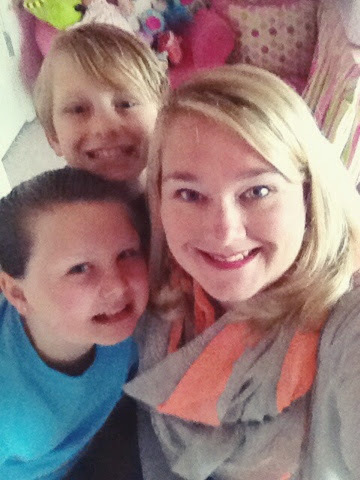 We were under a tornado warning Monday morning so school was delayed 2 hours! Which was nice since I did not sleep much that night between mine and RP's phone going off three times for Flash Flood Warning (exactly why do I need to be woken up for a flood warning???... If my house is flooding we have major issues bc we live on a hill and you all need to call Noah... Just saying), the storm itself was so loud, and then the schools called us starting at 5:30am announcing the delay! So needless to say I am pretty sure I saw every hour on the hour from midnight until 5:30am!!! Thankfully we were all safe and sound and sleep was all we lost! Some of my sweet babies in my class and RP's were stuck do to the floods... Our school had over 100 kids out that day due to the flood waters! Poor babies!!! Tuesday, April 8th: Happy Haircut Day!!! Another week in the books... Spring has sprung and summer is on the way!!!! I think it is 6 weeks and counting!!! Yay!! !